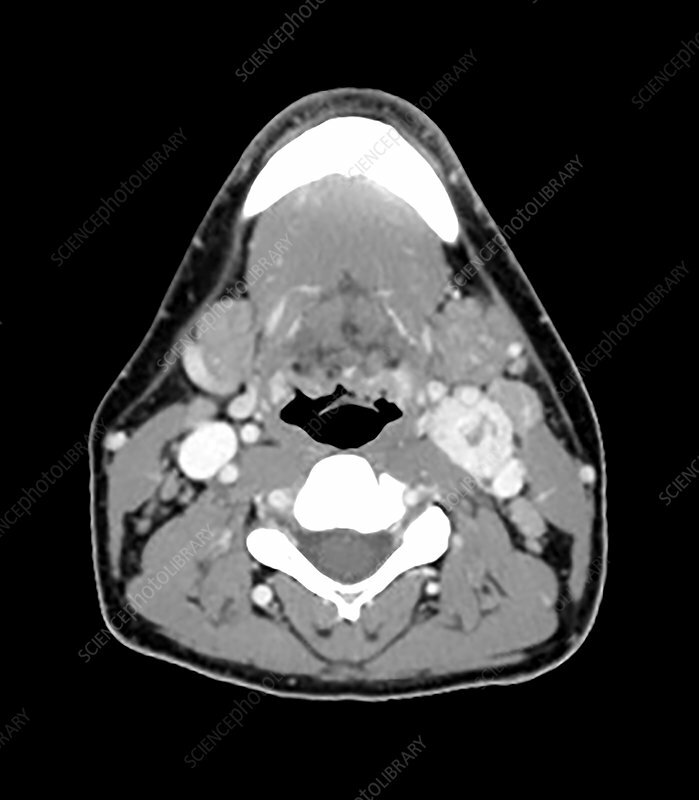 This contrast enhanced axial (cross sectional) CT image of the neck shows the typical appearance of a carotid body tumour (glomus tumour) in the left neck (on viewers right). These are typically very vascular tumours, and most often benign in nature. They typically splay the proximal internal and external carotid arteries.